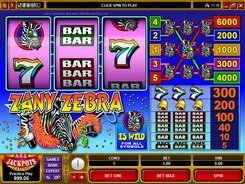 Zany Zebra is a Vegas-style 3-reel slot with five paylines. The symbols incorporate single bars, double bars, triple bars, bells, sevens and zebras. 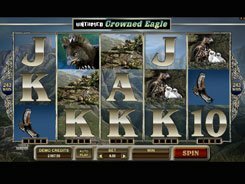 A coin size can be customized in a range of $0.25 to $5, thus the maximum bet is $25 per spin. All the symbols from the classic set pay out up to $1500 a bet for three of a kind. Besides, bars create mixed combinations that count as a win (for example, a 1-Bar, 2-Bar, 1-Bar combo qualifies as a winning combo). 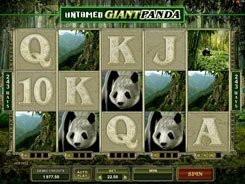 The largest prize of 6000 coins ($30,000 on the max bet) is granted for the Zebra symbol if three of them occur on line #5, meaning that you must place a five-coin bet to be eligible for that prize. 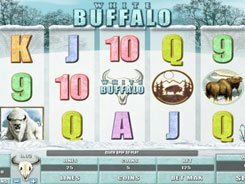 If the same combo lands on other paylines, the payout will be 1000 to 4000 coins. 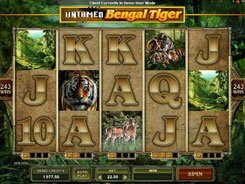 What’s more, Zebra acts as a wild symbol that can substitute for other icons to finish a winning payline. 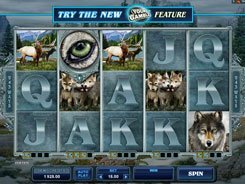 Having big payouts, simple graphics and a strong retro feel to it, the slot will definitely appeal to beginners and fans of classic design.